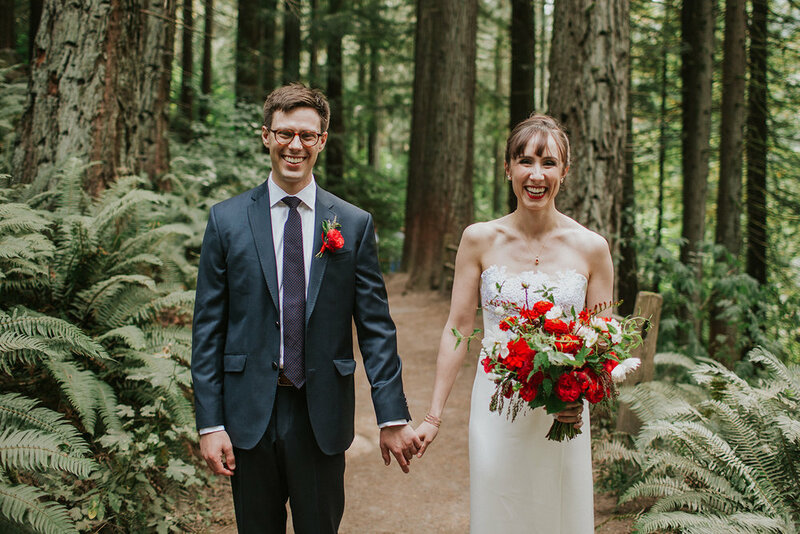 Jen and Dan’s wedding was a dream to work on, and it’s an example of how a small wedding can have a big impact. Jen wanted bright reds set off against whites and summer greens. The trick was to make it feel summery and fresh. 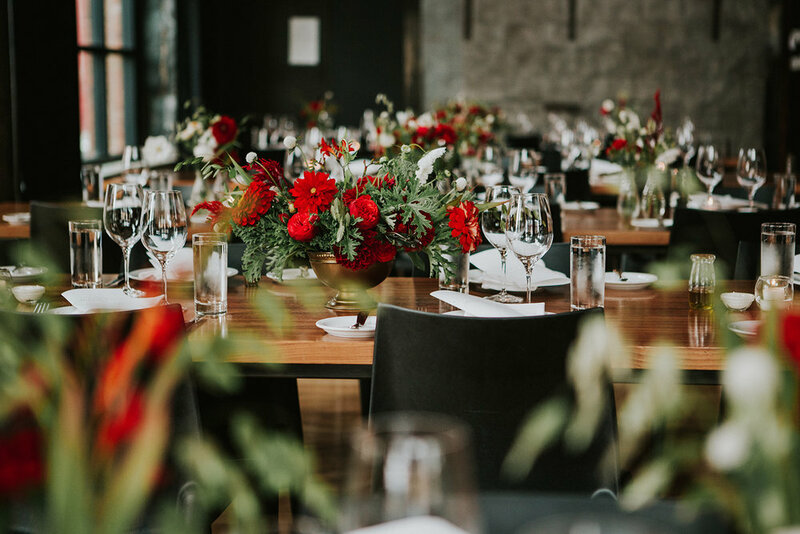 Red is a color full of meaning, and used the world over in celebrations. 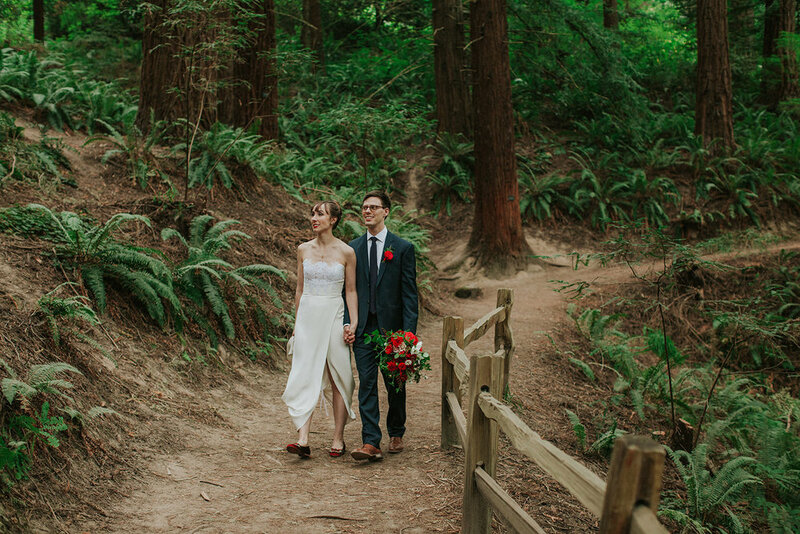 It was just right here, under the canopy of Douglas fir trees in Portland’s Forest Park. 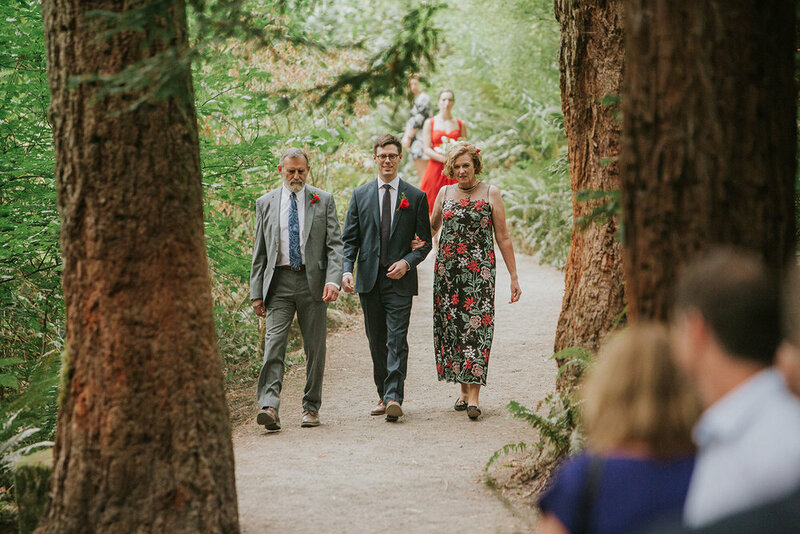 The bride and groom were walked to the ceremony by their parents. Each had one attendant stand with them during the exchange of vows. I used various Zinnias and Dahlias, Strawflowers, Gomphrena, Cosmos, garden Roses, Crocosmia, and Bittersweet tendrils to capture that perfect moment of summer when everything is bright and full. 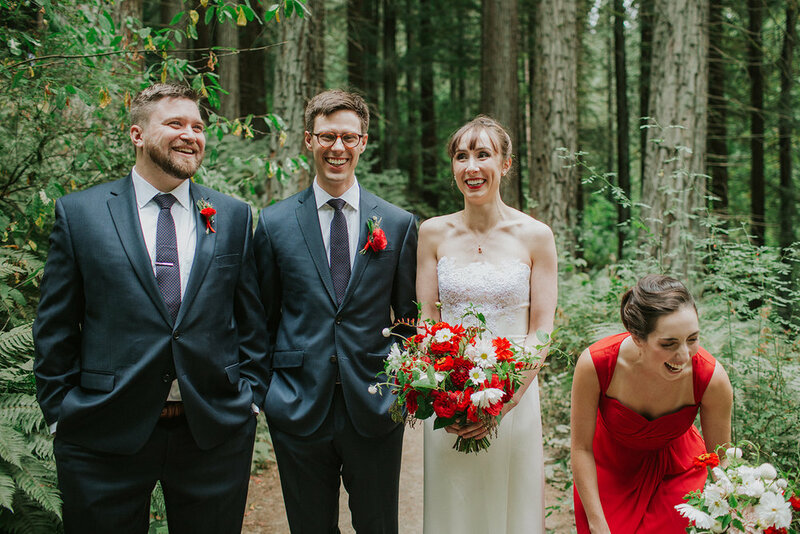 Don’t you want to know what was so funny? So much beauty and happiness! Here Today Photography did an amazing job capturing all the moments. 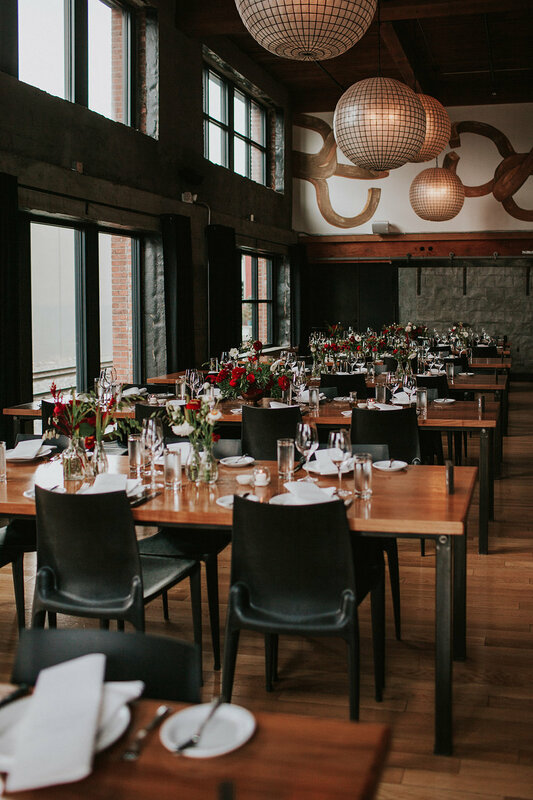 Now off to the amazing urban venue Plaza Del Toro in SE Portland for their reception. Delicious food and dancing awaits. 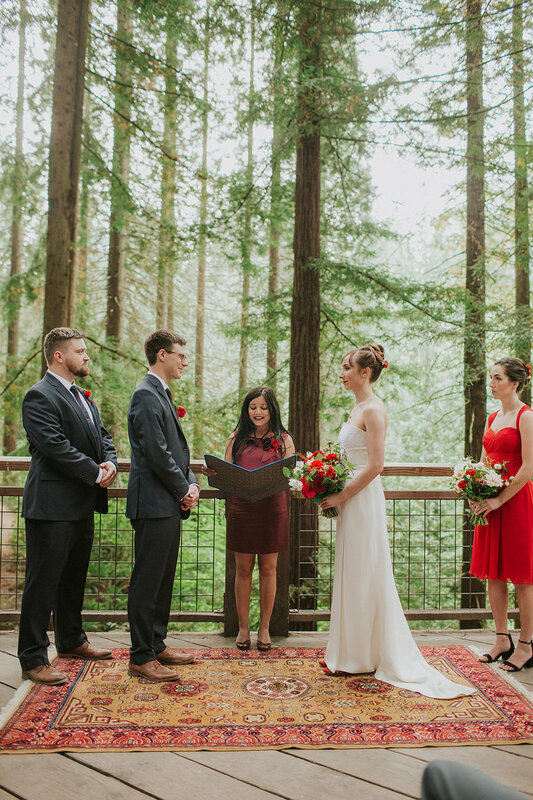 The deep reds looked so beautiful with the warm wood interior, and tall windows bathed the space in natural light. It is at once a stunning and intimate venue. 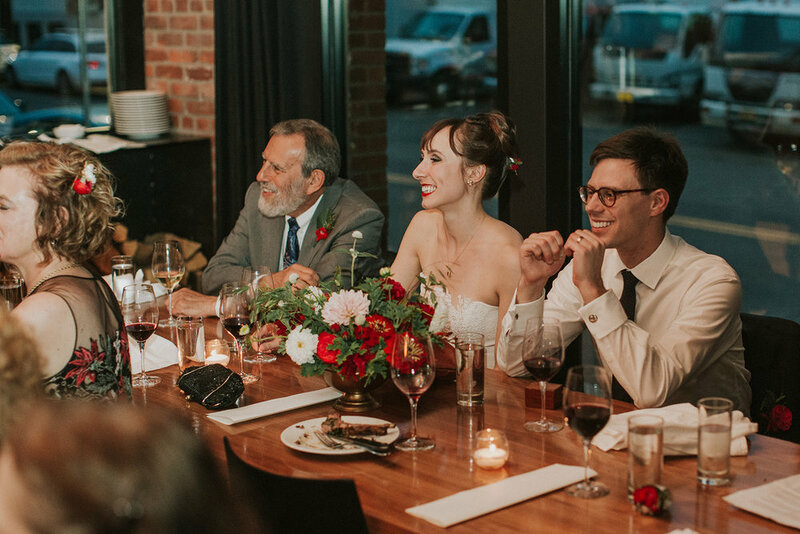 Who doesn’t love a good toast to the beaming couple? 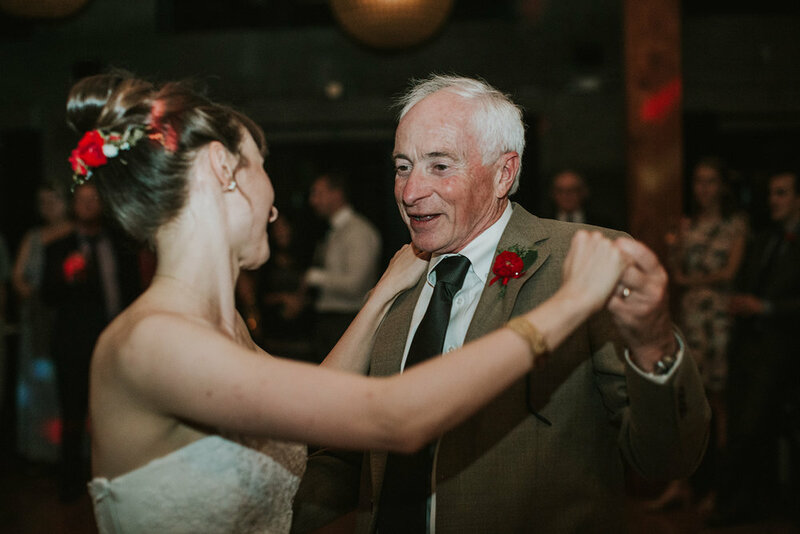 Father daughter photos are always among my favorite, and this one is certainly no exception. 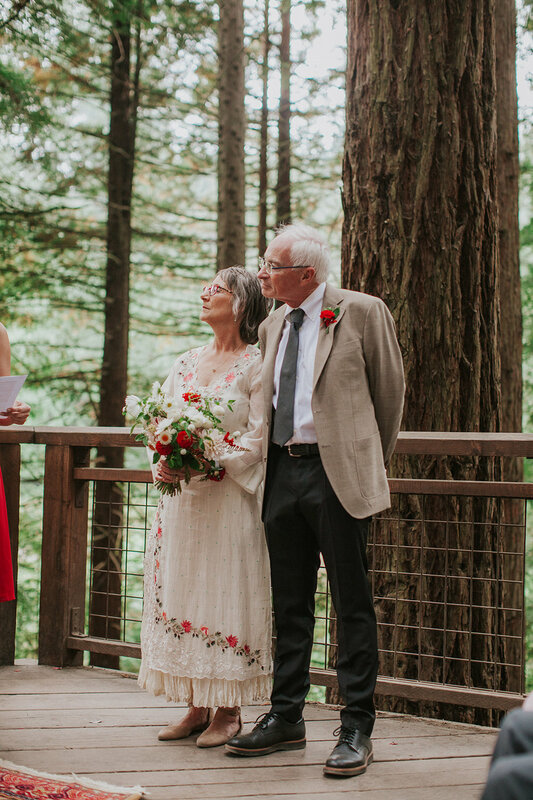 This couple and their families were delightful to work with. 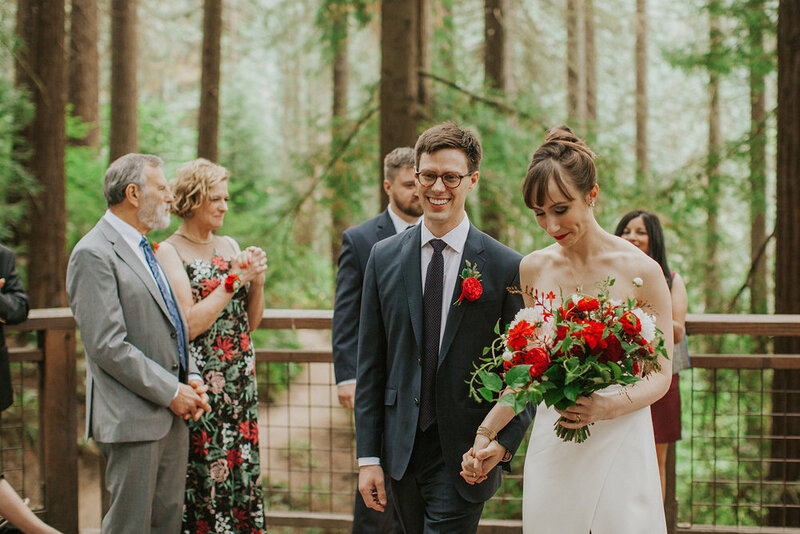 It all felt so of the PNW and personal to these two - I loved flowering this intimate summer wedding.